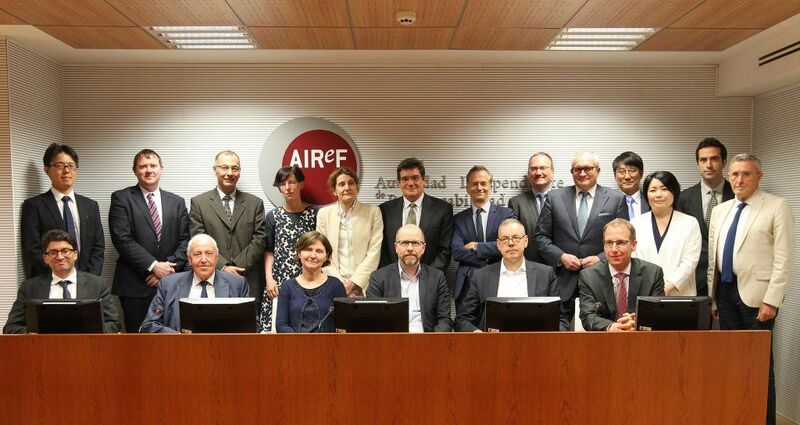 The Spanish Independent Authority for Fiscal Responsibility (AIReF) has gathered the economic advisors from the main Governments in an International Conference chaired by the AIReF’s president, José Luis Escrivá. Some of the most relevant topics regarding the international and mostly European economies were addressed throughout the day. This initiative was first launched last year by the German Council of Economic Experts, to foster cooperation with other advisory bodies and exchange views on the economic situation, the options for economic policy and their impact. The first session was focused on the perspectives for the international economy amid the emerging trends of protectionism and economic nationalism. The adverse economic consequences of the rapid and intense globalization experienced by the world economy in the last decades would have caused the discontentment that supports these new tendencies. This first session, titled “Trade vs Protectionism: is there a real threat to globalization?”, was presided by José Luis Escrivá and featured the participation ofPhilippe Martin (member of the French Conseil d’Analyse Économique); Lars Feld(member of the German Council of Economic Experts); Nobuo Kagomiya (representative of the Japanese Prime Minister’s Office); and Philip Bagnoli (representative of the Canadian Parliamentary Budget Office). The second session was led by Carlos Cuerpo (Director of the AIReF’s Economic Analysis Division), and it focused on assessing the challenges faced by the European Union. Conference participants exchanged their views about the future of the European project, taking into account the recent proposals by the European Commission, the Brexit, and other relevant changes in the external geopolitical environment. This session, titled “The future of the European Project against a background of Economic nationalism trends”, counted with the participation of the Chair of the German Council of Economic Experts, Christoph M. Schmidt; the President of the French Conseil d‘Analyse Économique, Agnès Bénassy-Quéré; the Director of The Netherland’s CPB Bureau for Economic Policy Analysis, Laura Van Geest; the Secretary General of the Economic Council of Finland, Pekka Sinko; the Chair of the Irish Fiscal Advisory Council, Seamus Coffey; and José Marín, AIReF’s advisor. The third and last session, on “Implications for economic policies and the international institutional framework of a reversal in globalization”, was presided by José Marín. This session addressed the implication that a reversal in globalization would have for economic policies, and potentially for monetary, fiscal, trade and financial policies. Possible effects on the framework of international institutions were also brought up. The speakers in this session were Niels Thygesen (Chair of the European Fiscal Board); Xavier Ragot (member of the French Conseil d’Analyse Économique); Peter Bofinger, (member of the German Council of Economic Experts); Nobuo Kagoyima, Philip Bagnoli and Carlos Cuerpo.